Skin Beauty – Beauty & Spa Center WordPress Theme is a clean responsive WordPress theme especial for Beauty, Spa, Salons, Yoga, Barbershop, Care, Hair, Health, Massage, Medical, Physiotherapy, Wellness Center, Makeup, Cosmetic, Treatment. 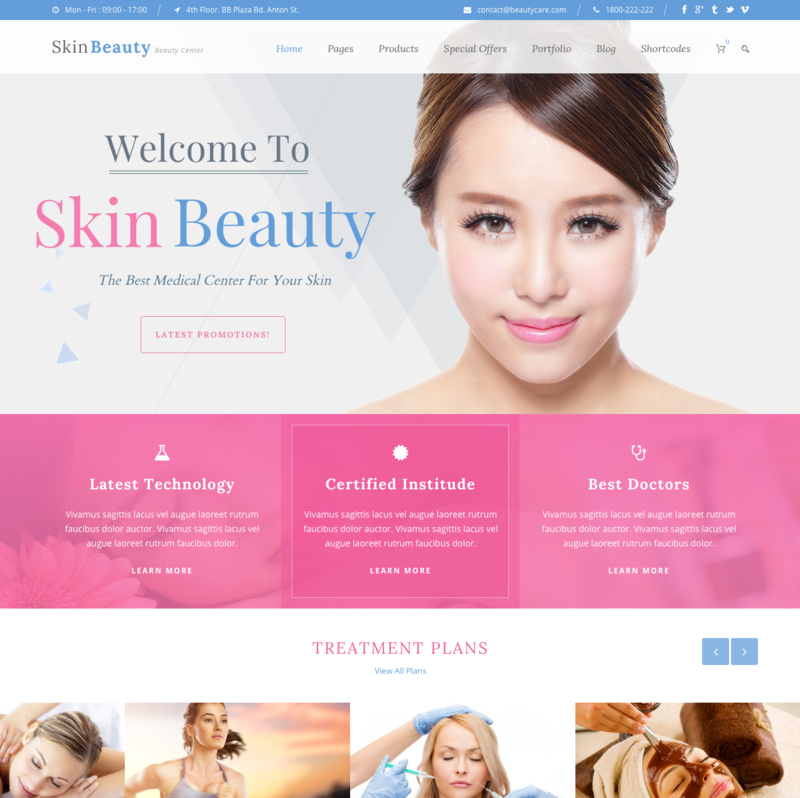 Skin Beauty includes great features for this theme category such as custom WooCommerce product layouts for your product, coupons and promotions. This theme also has many portfolio layouts for your treatment programs or product showcase. Skin Beauty also support WPML plugin which allow you to create multi language website.